Communication is a big part of everyone’s lives, but being able to communicate effectively is a skill that requires practice. Good communication will improve relationships in the workplace, in business, when networking, and with family and friends. Understanding your communication style will help you improve your communication skills. 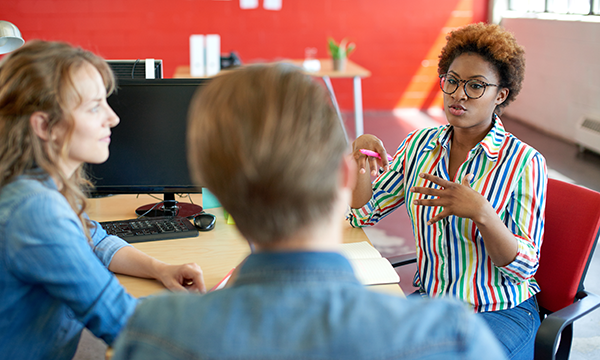 Assertive communication—expressing yourself effectively and standing up for your point of view, while respecting others—can help you when working with clients, negotiating salary issues, bargaining for good prices, and making business deals. Learn how you can be more assertive! Identify three types of communication styles: passive, aggressive and assertive. Understand verbal and non-verbal communication. Use assertive communication to improve your work when working with clients, during negotiation, and when dealing with conflict. The videos managed to highlight what assertiveness was. Kudos! Hi George, thank you. Share it with your friends as well. Hi Victor, we are glad you find our courses to be career enriching. You are welcome.